Depending on which way you look at it, November is either approaching the end of the gardening year or the start of the new one. Once the autumn leaves have fallen the evergreens come into their own; having been the backbone of the garden all year round, in November they make a colourful backdrop to seasonal flowers, frosted grasses bare branches, and the coloured stems of shrubs. This is peak season for easy-to-grow evergreens such as Arbutus unedo (Strawberry Tree) which at this time of year displays white flowers and pink fruit both at the same time (the fruits are from last year’s flowers). A compact shrub or small tree, it’s undemanding, thriving in sun or light shade, and will tolerate pollution. Fatsia Japonica (False Castor Oil Plant) looks exotic but is equally unfussy. Left unpruned it will grow slowly to a large shrub but it’s not difficult to prune to the desired size. At this time of year the glossy dark green leaves are joined by clusters of fluffy cream flowers followed by black berries. Best in light shade. Eleagnus ebbingei (Silverberry), is another garden stalwart. It’s silvered mid-green leaves are completely silver coloured on the undersides. 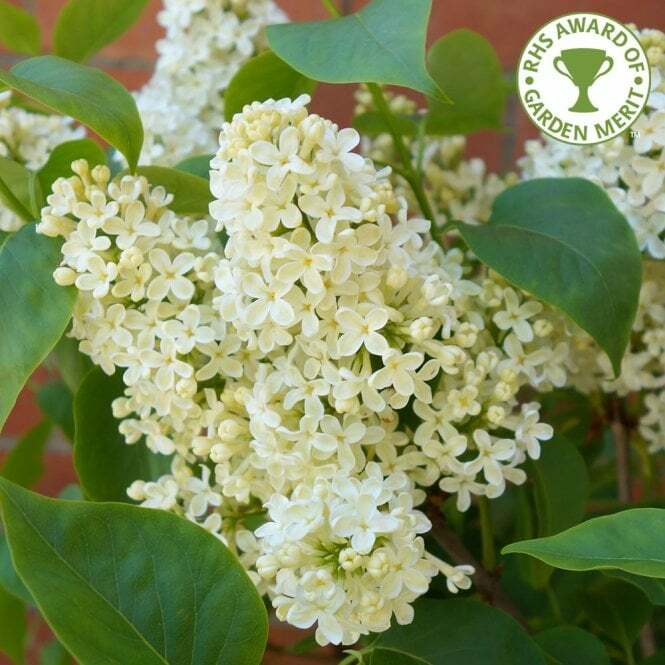 It bears fragrant creamy-white flowers. A large shrub which is useful for hedging, it will grow in any soil (except boggy) in sun or light shade. The season of mists and mellow fruitfulness is upon us and there’s a nip in the air. There’s a wealth of rich autumn leaf colour to enjoy as well as berries and fruits. Late flowers inject a welcome flash of colour on dull days. Every garden deserves a Japanese Maple. They have autumn colour all sewn up as they change from the greens or subdued reds of summer to spectacular shades of flame-red and oranges. Acer Palmatum Osakazuki is one of the best. It’s maple-shaped leaves graduate through every shade of glorious reds and oranges for several weeks before falling. Ideally grown in a sheltered spot in light shade, it will eventually grow to a height of 5m. Euonymus europaeus ‘Red Cascade’(Spindle Tree) is really a large shrub that won’t set hearts alight in summer with its dark green leaves and small flowers, but more than makes up for it in autumn and winter, when it sets the garden ablaze with its strong leaf colour, and after the leaves fall there’s the bonus of orange-pink winged fruit to provide a winter feast for birds. The best leaf colour is in full sun, but it will also grow in partial shade. 2.5m tall. Nerine bowdenii’s (Guernsey Lily) bright pink funnel-shaped flowers bloom ahead of its leaves. Best planted in full sun against a south-facing wall, a good baking in summer will reward you with a glamorous show in autumn. 45cm tall. Even the smallest garden has room for a tree or two. A single tree can bring a garden to life, adding height, structure, and a sense of permanence. Trees provides shade, a habitat and food for birds, colour for autumn, spring blossoms and fruit. Careful consideration should be given to which tree, and its eventual height and position – it will be there for a long time! Unless you have a large garden it makes sense to choose trees which have more than one season of interest. Malus Golden Hornet (Crab Apple) grows to 10m and has magnificent pink spring flowers, followed by decorative yellow fruits. Acer Palmatum Dissectum ‘Garnet’ grows to around 2m with red leaves throughout spring and summer changing to vivid scarlet in autumn. Another multi-tasker from the Acer family is Acer Griseum (Paper Bark Maple), which has attractive peeling bark all the year round and scarlet foliage in autumn. Tree planting season is from October to March while they are dormant, and although you can plant container-grown trees all year round, autumn is the best time of all as the ground is still warm from the summer but moist thanks to seasonal rainfall. Instead of having to worry about watering you can leave autumn planted trees to look after themselves and they should be well-established by next summer. However, if you garden on heavy clay that stays very wet in winter you may be better-off waiting until spring. Bare-rooted trees can be planted towards the end of October, provided the ground is ready and the leaves have fallen off. Good soil preparation is key to how well the tree takes off. For container-grown specimens, loosen some of the roots at the edges of the rootball and dig a planting hole three times the size of the pot, deep enough for the bottom of the trunk to be level with the top of the hole. For bare-rooted trees, dig a large but shallow hole. In both cases drive in a support stake at an angle before placing the tree in the hole. Mix the soil you removed from the hole with plenty of well-rotted organic matter and bonemeal, and add to the bottom of the hole and around the roots. Tie-in to the stake and water well. Check tree ties and stakes after a spell of windy weather. Ties need to be loosened as the girth of the trunk expands so it doesn’t throttle the plant. Trees are expensive, so don’t risk your investment for the sake of the right soil and a few minutes extra to do the job properly! Bulbs are amongst the easiest and most rewarding garden plants to grow. Get them in the ground or in pots now so you can enjoy a cheerful parade of flowers going through from January to late spring. Most bulbs can be planted now – Snowdrops, Daffodils, Hyacinths, Crocuses, Fritillaries, Iris, Muscari, Anemones, Scillas, Lillies, Alliums and Crocosmias, – but leave tulips until November. Hardy bulbs can be left undisturbed in the ground and will multiply over time. Only plant non-frost-hardy types if you can face the bother of lifting and storing them, or you’re happy to risk some losses. The main rule with bulbs is to think big and plant for impact – if you think you need 20, plant 40! And in pots squeeze as many as you can get in without them touching. Plant in groups rather than in straight rows, and if planting a small number of bulbs choose an odd number for a more natural look. You’re unlikely to spend much time sitting out in the garden in February, so make sure you site them where you can see them from your window. Try planting drifts in the border, or under deciduous trees for a carpet of colour in spring before the trees comes into leaf. Bulbs grown in the lawn will have to be mown around until 6 weeks after flowering. Bulbs in large containers can be planted in layers for a succession of blooms – Snowdrops in January give way to Daffodils and Tulips in March and April, followed by purple Alliums in May. It’s important to bury them deeply enough – if you aim for three times their own depth you won’t go far wrong. Too shallow and they’re more likely to get eaten by pests. Too deep and they may not reach the surface. A bulb-planting tool and a good garden kneeler are worth their weight in gold if you have lots to plant. It used to be assumed the arrival of autumn heralded the end of the growing season, but not anymore. Mild autumns have extended the growing season so we can expect another month or two of colour to enjoy. There may be an autumnal nip in the air, but September looks likely to be a relatively dry month with temperatures above average, so its back into the garden with the aim of keeping the summer garden going as long as possible. There’s an abundance of autumn-flowering climbing plants that will add interest and rich colour into your garden and we’ve chosen three of our favourites. Parthenocissus tricuspidata’Veitchii’ (Boston Ivy). One of the best of the large climbers for stunning foliage colour, its large maple-like leaves turn from bright green to dramatic shades of crimson and scarlet. Very vigorous and easy to grow, it can reach up to 15m so is perfect for a large tree or for growing against the house. It’s self-clinging and will thrive in any situation from full sun to deep shade. Clematis tibetana‘Bill MacKenzie’. Attractive golden-yellow nodding flowers are followed by large, wispy seedheads. The flowers and seedheads overlap for a while creating a stunning display. It’s vigorous, growing up to 5-6m, so is suitable for growing up a tree and it will also cope with a north wall. Full sun or partial shade. Fuchsia ‘Lady Boothby’. This vigorous hardy fuchsia gives an abundant display of red and blue flowers through summer and well into autumn. Growing to 2.5m, it’s great for covering a trellis, arch or fence and could be grown in a container. The shoots may need to be tied in. Requires partial shade and well-drained soil.